“When you’re taking over a 4-8 team there’s a lot of needs,” Scott Frost said on his first February signing day as Nebraska’s head coach, but his second overall because this is a unique year in the recruiting world. Nebraska added 13 players on that first signing day in December. The Huskers rounded out their 2018 class with 11 more on Wednesday, six of which were previously committed and four who picked Nebraska on signing day. But about those needs. The unique nature of the first early signing period combined with the rare scenario where a new coaching staff stuck with its old team through the bowl game made getting the roster numbers perfectly aligned a secondary concern. For now. Every coach in the country has his own version of that last line today, but knowing this staff’s preferred style of play you can see the particular itches that were scratched. Frost said the Huskers “needed a young quarterback.” The staff checked that box in December with the signing of 4-star Adrian Martinez, who is already on campus. I’m not here to win in February, I’m here to win football games in the fall. Offensively the whole scheme is focused on fast, and Nebraska got plenty of that. The top-ranked junior college running back and December signee Greg Bell‍ was joined on Wednesday by 3-star Maurice Washington‍, who was named MVP at the Under Armour All-America game in January, to give the Huskers a couple of new options in the backfield. But in this offense, the receivers can end up in the backfield often enough, too, which is where a player like Miles Jones‍, one of eight Florida prospects in the 2018 class, comes in. He’s a jack-knife sort of player and the Huskers landed a couple of those over the last two months. Nebraska also got the tackle it clearly desired based on recent offers with the signing of 3-star Willie Canty‍. The defensive backfield was another spot where Nebraska needed numbers. The Huskers ended up with five players who will start out in the back four, including a couple of 4-star safeties in Cam Jones‍ and C.J. Smith‍. “We feel like we signed as good a class at safety as anybody in the country,” Frost said in a mid-morning interview on the Big Ten Network. The other big hole Nebraska had heading into Wednesday was at edge rusher. Nebraska was awaiting announcements from two talented prospects capable of filling that role – 4-stars Javontae Jean-Baptiste‍ and Caleb Tannor‍ – and landed one of them, prying Tannor, a Georgia native, away from stiff SEC competition. Griffin, for those scoring at home, led Central Florida in tackles for loss, sacks and quarterback hurries in 2017, and was named defensive MVP of the Peach Bowl, a 34-27 win over seventh-ranked Auburn. Jean-Baptiste offered many of the same traits as Tannor. Snow in his home state of New Jersey forced the cancellation of his planned announcement, fueling the sort of drama only signing day can provide. He ended up signing with Ohio State. 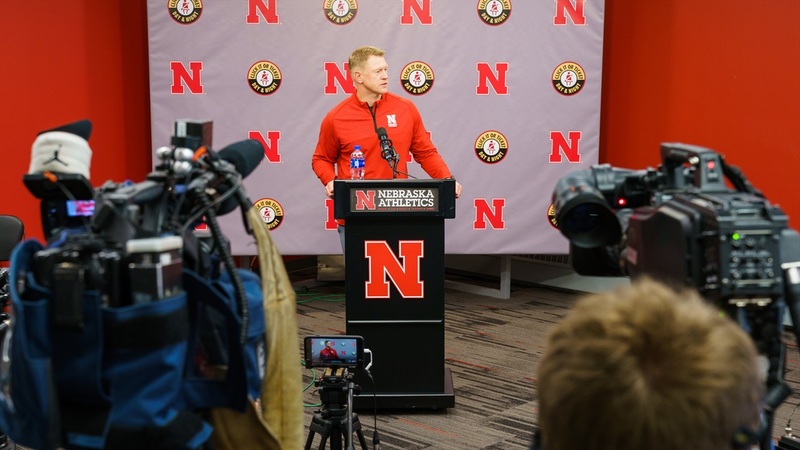 The overall theme of Frost’s press conference, however, was one of getting back to what Nebraska used to be. It came up again and again in response to a variety of questions, but maybe no answer underscored the point better than Frost’s response to a question about the Huskers’ class rating. Depending upon where you looked, Nebraska’s class ranked in the low 20s, up a couple of spots from where it started the day and in the usual range of past Husker classes. Now that’s really the way Nebraska used to do it. >>Thanks to his performance in the Under Armour game, perhaps no player’s announcement was as eagerly anticipated as Washington’s. The Huskers targeted him right away in December, before that breakout performance, and Frost credited the relationship the coaches were able to build early with signing him on Wednesday. What’s he bring to the table? “He can do everything that we would ask a running back to do in our system. He has a little bit of work to finish academically, but we’re excited to get him on campus,” Frost said. Washington’s uncertain qualification status may have tamped down his recruitment some during the fall, but all signs are he is on track and will be able to enroll in the summer. >>Nebraska announced that it sold out its spring game in just two days, which isn’t bad PR to have on day when coaches are trying to woo recruits. Those men will fan out across the state on Thursday to host a handful of events meant to introduce fans to the recruits in this class. >>Between recruiting for Nebraska and coaching UCF in the Peach Bowl, Frost said the Huskers’ staff hasn’t had any time off since July. Those days are coming, though. Nebraska’s offensive staff will take some days off next week while the defensive coaches remain in the office, and vice versa the following week. As for Frost, he’ll be heading down to see his wife and son who are still in Orlando.